Let me start off with a little history. MidWest America started over 80 years ago at the General Electric Plant with employees looking to help one another by providing credit to fellow employees in need because at the time of the Great Depression, banks and savings institutions were not generally interested in providing consumer credit. We’ve grown our credit union from those meager beginnings at General Electric to where we are today with 15 locations in 3 states just by living the credit union motto of “people helping people”. We are here to help you realize your dreams with our products, but more importantly with our knowledgeable staff. We are collecting our best advice, best product uses and best life advice from the entire Credit Union right here. Another goal of this blog is spread financial education to our members. People in all stages of life come across financial terms they do not understand and have questions about something they saw or heard. We will strive to answer your questions and organize it right here for you, available whenever you need it. We also want to illustrate how our Credit Union differs from banks and other financial institutions. Did you know that when you open an account at MidWest America that you become a member and an owner of your Credit Union? You are investing in yourself because our profits are returned to you in the form of competitive rates and lower fees. YOU are what makes MidWest America great! We want to get to know you and your story while finding ways to help you achieve your goals. We are member focused, because without you, there is no MidWest America. We want to change the way you view banking by making it personalized and easy. Tell us what you think of us and give us ways we can do better. We are your neighbors and we all live together in this wonderful community. Your feedback will help us grow and that is our goal. 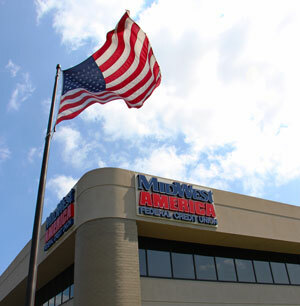 We want MidWest America to be a perfect fit for your financial needs.